In this article, you will get the updated information on Comilla Education Board. You also get the information all others Education Board result such as PSC result, JSC result, SSC result, HSC result through this website. Secondary and Higher Secondary Education Board, Comilla Board serves as the controlling authority of secondary and higher secondary education institutions of Comilla District in Bangladesh. Comilla education board was established in 1962 in the Comilla district of Bangladesh. The present official building of Laksam Road in Comilla Kandirpar is situated. There are two ways to check the JSC Result 2019 Comilla Board. First one, through the online and second one, by SMS. Now, Let’s discuss how to check JSC result 2019 applying all methods. Mobile SMS is the modern system for checking the JSC Result 2019 Comilla Board, and all other Boards Results in Bangladesh. The JSC candidate and their guardian can check JSC Result 2019 Comilla Board by Mobile SMS quickly within a while. Go to Education board website (http://www.educationboardresults.gov.bd/) for checking JSC result 2019 from online. Here we write down the procedure step by step how to check JSC Result Online. Not only JSC Result 2019 but also you get others education board result using this procedure. For others board, you should change your information otherwise you get the wrong result. Step 1: Select “JSC/JDC” from “Examination” menu. Step 2: Select “2019” on “Year” menu. Step 3: Select “Comilla” on “Board” menu. Step 4: Type your “Roll Number” on the “Roll” textbox. Step 5: Type “Registration Number” on the “Reg: No” textbox. Step 6: Type the result of the two number (left side). 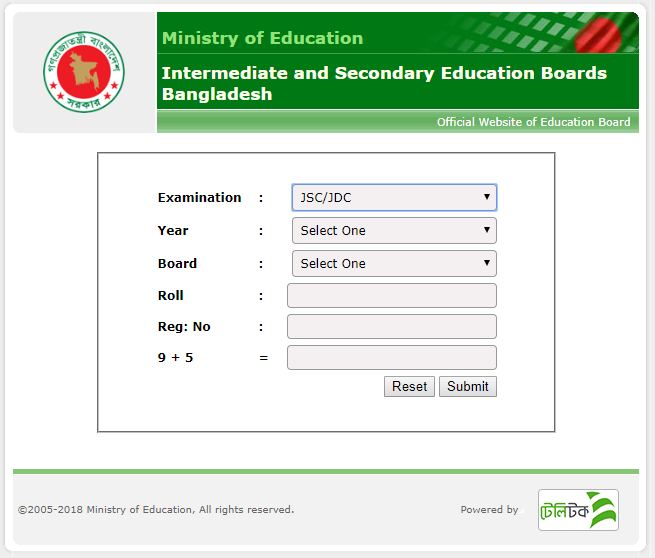 At last, after fillup, all box then click the Submit button to get your JSC Result 2019 Comilla Board. Results from any mobile via SMS: After going to the message option, write JSC for general board and JDC for Madrasa Board, and write the first three letters of the board, roll number passing year and send to 16222. 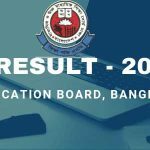 JSC Result 2019 Comilla Board full marksheet can download from this website (Ontaheen). This year JSC Exam Result 2019 Comilla Board with full marksheet will discharge on 30 December 2019. Grade Point Average or GPA System has been implemented the Bangladesh Education System. Here you see the grading system in Junior School Certificate (JSC) or Junior Dakhil Certificate (JDC), which also count in all public exams in Bangladesh. If you want to ask any question about JSC or JDC result 2019 then you can be using the comment box.